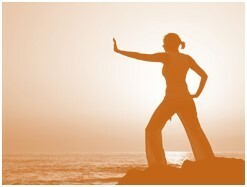 FYZICAL Therapy & Balance Centers is pleased to provide wellness classes which include Tai Chi Fundamentals. What is Tai Chi Fundamentals? Tai chi fundamentals bridges Eastern mind and body health principles with Western medical model functional analysis. Tai Chi fundamentals can serve as a complete exercise program for many individuals. It can provide solid basic training for those who wish to progress to the more complex forms of traditional Tai Chi. It offers step-by-step instruction in the Fundamentals Form. This is a simplified version of Tai Chi based on traditional movements.